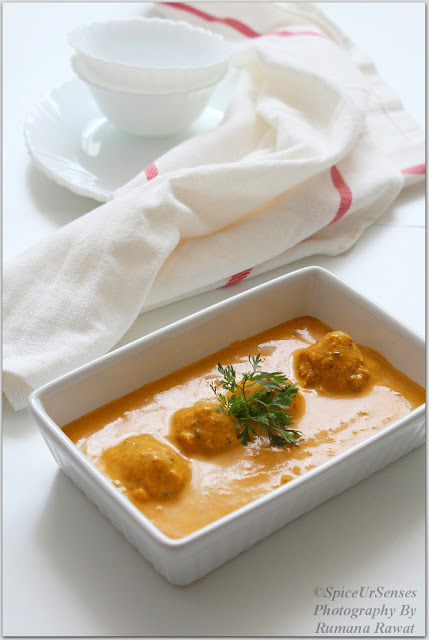 Malai Kofta is a very popular North Indian delicacy. 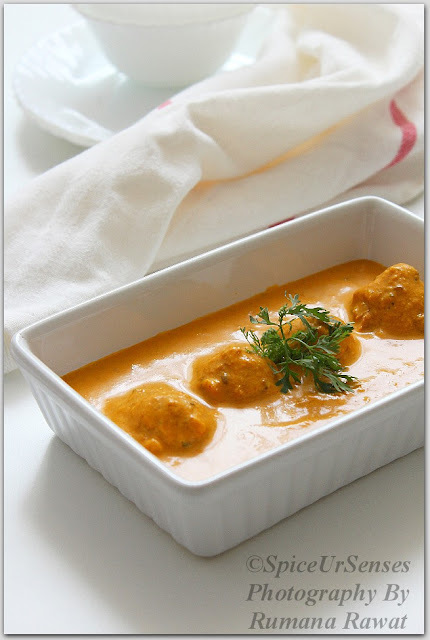 Paneer and potato balls deep friend and then added into a creamy onion and tomato gravy, then garnished with cream and Served with naan or Jeera Rice. This is a bit lengthy recipe but I have tried to make it easy as much as possible. Do try this dish and let me know.. In a deep kadai, add enough oil to deep fry the koftas. 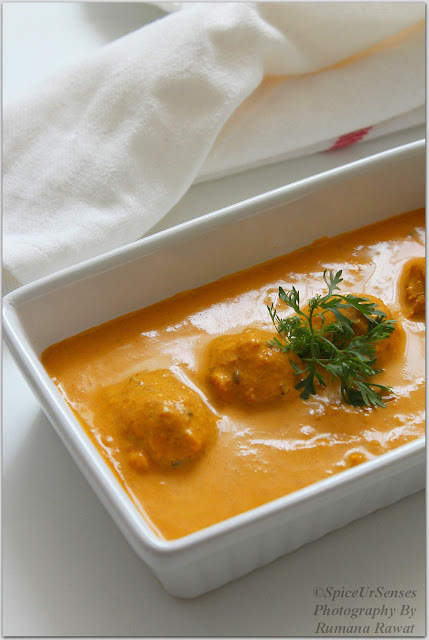 Take all the kofta ingredients in a large mixing bowl, mix everything to foam a dough, then divide the dough into small lemon sized balls. Now deep fry them in hot oil. and set it aside. In a another deep pan, add 1tbsp butter, once the butter is melted, add all the gravy ingredients(except Cream) and cook till everything comes together, then allow the masala to cool. Now grind the cooled masala in to smooth paste. 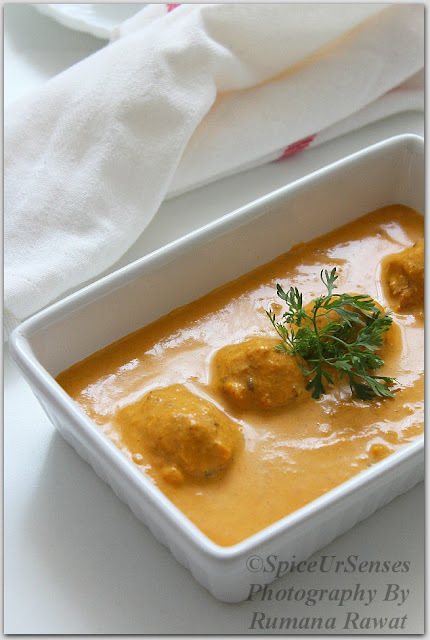 In a same pan, add another 1tbsp of butter once the butter is melted, add the masala paste and cook for 4 to 5 mintes, Then add the cream and fried koftas, and cook for another 2 to 3 minutes on a medium heat. Garnish with cream and Serve with Naan. have to agree with Angie :) that gravy looks yummm, just need a piece of bread to dip in to it. Gorgeous! I am sure it tastes as good as it looks. Just beautiful! 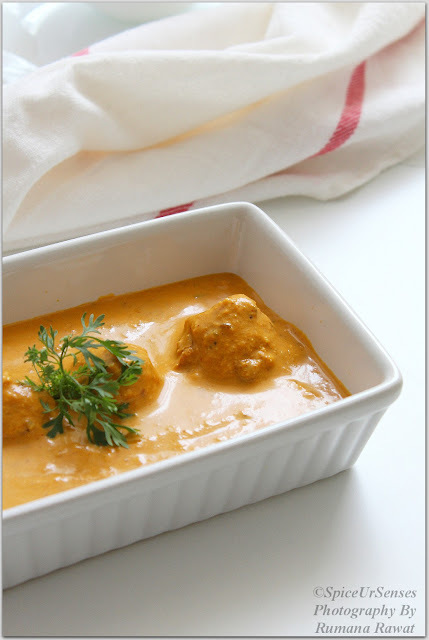 I love creamy curries.